Selling a house without listing the property online is practically unheard of in today’s world. In fact, according to a recent report from the National Association of Realtors, the first step in the home buying process—among nearly all generations—consists of conducting a search online. Better yet, the NAR also reports that 63% of buyers who view a home on the Internet will then take the time to visit the property for an in-person walk through. 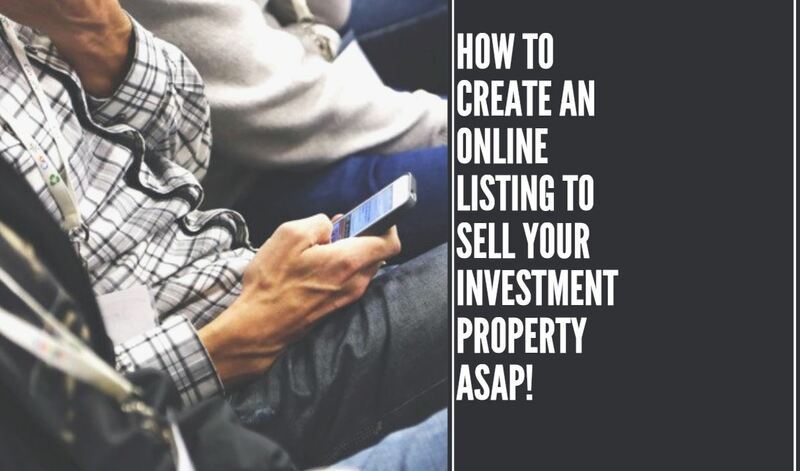 So, as you can imagine, creating a high-quality online listing is not only helpful, but actually crucial for selling your property as quickly as possible. Hire a reputable, professional photographer to capture the home looking its absolute best. You’ll want to include images of the home’s exterior, yard space and any outdoor entertainment areas, as well as multiple photos of each room inside the house when you publish your listing online. When uploading, organize the photos so that buyers can become familiar with the home’s layout as they’re scrolling through. And if your budget has room for additional expenses, you may want to consider hiring a videographer to create a virtual tour video that can also be included in your listing. Aside from missing information, there’s nothing more frustrating inaccurate information, so be careful to double-check any items you’re not familiar with before you create your online listing. Lastly, you’ll want to explicitly mention any additional selling features or recent upgrades buyers should know about in the property’s written description. If the house has hardwood floors or a new bathroom was added, for instance, don’t assume buyers will be able to tell just by looking at your photos. Instead, create 3-4 well-written sentences emphasizing the property’s best qualities, so that buyers know exactly what makes the property special. Your Realtor is such a valuable resource for marketing your property; once you’ve drafted up a written description, he or she can easily publish the listing to popular home buying sites, like Zillow, Redfin, Realtor, and MLS.com. There may even be additional realty websites specific to your metropolitan area, so ask your agent about any other platforms you can take advantage of in order to reach more buyers. And of course, if your agent’s brokerage has a sizable email marketing list or a large social media following, you can gain even more valuable exposure through those forms of media as well. Find Your Next Investment Property Today With CastleRock! For help finding your next flip, be sure to check out our online inventory of low-cost houses for sale across the country! Also, don’t forget to follow us on Twitter and like our Facebook page for more helpful tips and updates on all our newly added properties.